The 50% discount is already active on the website, so all you have to do is head over and pick your favorite resources. So why don’t you head over and take a look for yourself? I bet there were at least a couple of moments this year when you wished you had a mock-up to show your client and present that design you’ve been thinking of. Showing someone how a specific product will look would ease your work and save you loads of time. But making a mock-up from scratch isn’t easy. 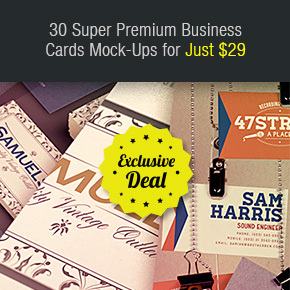 That’s why Inky Deals came up with MockupZilla 2 – a brand-new Super Premium Mock-Ups collection that you will definitely love! Christmas Discount: 40% off All Products at Designious.com! 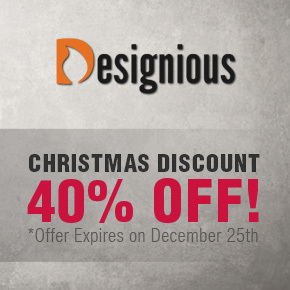 Our colleagues from Designious.com started the Christmas celebration early this year – with a one weeklong 40% discount on all their products! Now you can stack up on whatever resources you need for the upcoming holidays, and not only! That’s right, fellow designers. 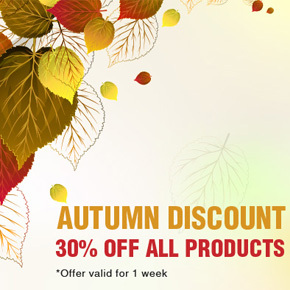 A 30% discount on all of our products: vector packs, T-shirt designs, Photoshop brushes, Bundles and even Giga Packs! 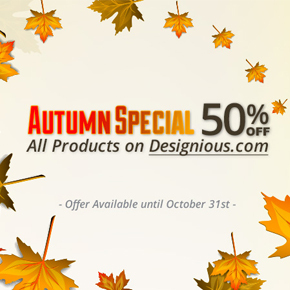 But you must hurry, because this discount is available for one week only, until October 10, 2013!